Every Domers Construction project is custom designed. Each customer has unique needs, desires and challenges in their homes. We enjoy assessing each project – designing and building a solution that our clients can enjoy for their lives. 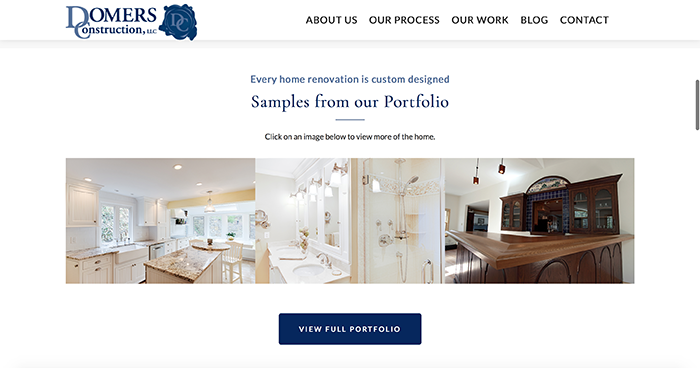 We invite you to view some of the recent work for inspiration for your next project, including a 3-D tour on our updated website. Begin your collaborative planning process with Domers Construction now to be designing during the winter and beginning construction in the spring.